Day-Night cameras provide a colour picture when there is sufficient light to do so, normally during daylight hours. When light levels fall, the picture reverts to black and white, to take advantage of the inherently better sensitivity performance of monochrome cameras. Monochrome cameras typically require approximately 1/10 of the amount of light to make a useable picture, compared with a good quality colour camera. The switching from colour to monochrome at dusk, or from mono to colour at dawn can either be automatic, using the camera itself as a light level meter or it can be controlled via an external photocell or a contact from suitable telemetry equipment. In order for colour cameras to reproduce colours accurately they are normally equipped with an infrared cut filter. This prevents infrared light getting onto the CCD imaging device. Natural daylight is a mixture of both visible and infrared light. If a colour camera is exposed to infrared light, the image will be lighter than if it was producing it from the available visible light. Hence colours would appear whitened; red objects would appear pink. Grass, being reflective to infrared light, would appear a pale shade of green. Not all Day/Night cameras are the same; there are three distinct types. One does not have an infrared cut filter fitted. Digital or other signal processing is used to compensate and make colours look correct when in day mode. 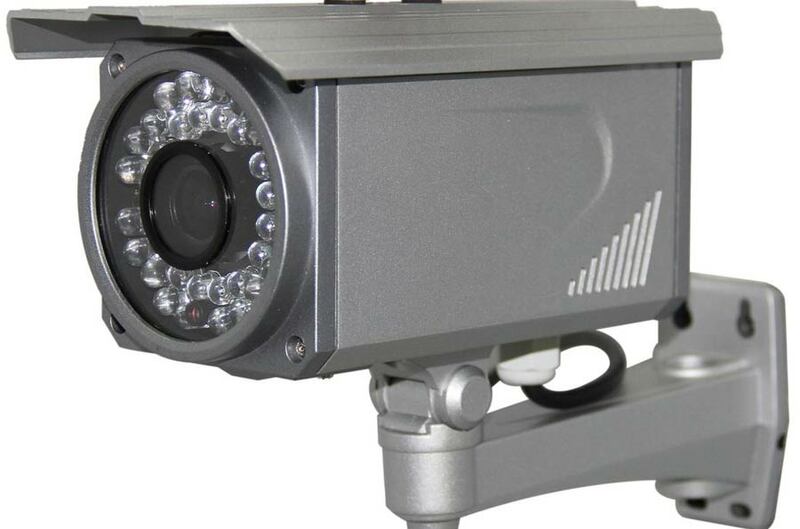 This type of camera has good sensitivity at night and can be used with infrared lighting. A second choice of Day/Night camera comes fitted with an infrared filter. This gives good colour rendition in daylight, however the camera is not as sensitive as a monochrome camera. The camera is not as sensitive to infrared and cannot be used with infrared illumination. If lighting is required, which is likely given the cameras reduced sensitivity; only visible lighting can be used. Clearly, it would be appropriate if the infrared filter was in the optical path during daylight to give good colour rendition. It would also be best if there was no filter in place at night so that the camera is as sensitive as a normal monochrome camera, therefore it would be sensitive to infrared light, enabling overt or semi-covert surveillance. Finally, there are Day-Night cameras, for instance the VCP501 Zoom camera from Videcon, which physically move an infrared cut filter in and out of the optical path to give true colour rendition in daylight, and low light and infrared sensitivity at night. Because of there different wavelengths, infrared and visible light focuses at different points behind the lens. It is often a problem achieving a sharp image in both day and night modes. When using a standard auto-iris lens on a Day-Night camera, always perform the back focussing at the lowest light levels when depth of field is at a minimum.